CalcNode: Converter & Calculator is a simple high precision calculator and base converter made for the HP touchpad. It features both a main app and a popup calculator and converter. 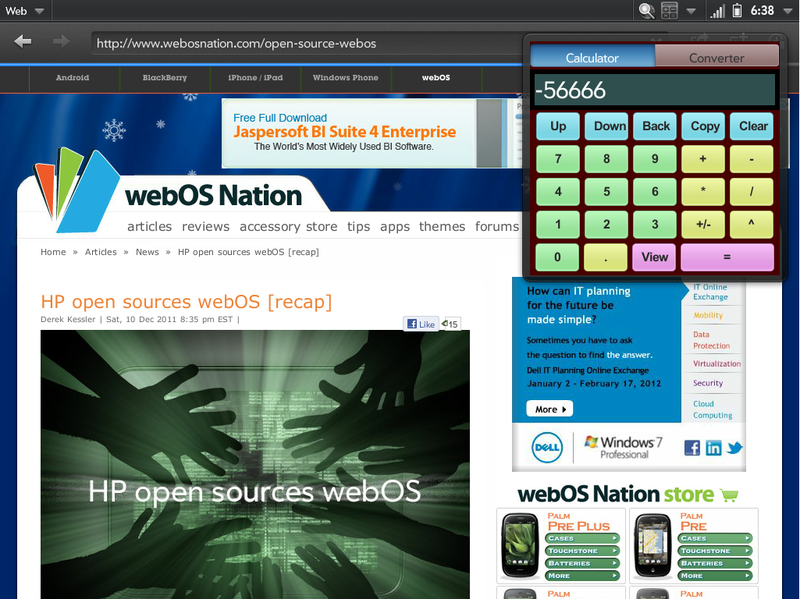 The popup calculator and converter can be used over other applications; this truly shows the multitasking in WebOS. Calculator features a stack to save your answers. Base Converter converts between binary, octal, hexadecimal and decimal. Fixed the issue that resulted in the popup calculator not oppening. Added color coding to the popup calculator. Added constants including Pi, E, LN(2) and more. Added functions including trigonometric functions such as sine, cosine, tangent.